Just back from the last of this year's Homebuilding & Renovating shows (in not-so-sunny Somerset) and I am reflecting on my piss poor performance as a VAT expert. We get a lot of VAT queries from the visitors, and some of them I have to answer on stage in full glare of an audience. Which is fine when you are on top of your game and know every last detail, but not so good when your memory is beginning to resemble a colander. The questions have become increasingly complicated over the years and I no longer retain that capacity for remembering boring factoids like I once did. So for my benefit as much as everyone else's, here is my aide memoir on VAT and the selfbuilder. • The starting point is very simple. If you are building a new house in the UK, you don't have to pay VAT on your costs. Professional developers do this by just reclaiming VAT on their quarterly VAT returns, and not charging it out on the house they sell at the end of the process. Selfbuilders are able to do the same thing without having to register as a business, simply by filling out form 431 (N) at the end of the job and posting off all their VAT invoices. • It's downhill from here. • The big fat question which keeps coming up is "What qualifies as a new build?" • Gordon Brown, when Chancellor in 2001, widened the definition, so that many conversions qualified. If you are creating a dwelling for the first time (classically a barn conversion), then it qualifies. If it's an empty house that hasn't been lived in for at least ten years, then it qualifies. It gets complicated when you start talking about pub and post office conversions because if the buildings have been used partly as dwellings as well, then it doesn't qualify. The key point seems to hinge on whether or not the dwelling bit is or was "self-contained." By this it means if it shared a kitchen and bathroom with the commercial parts of the operation, it's not self-contained and it would qualify. If however there is a separate flat, then it doesn't qualify. At least I think that's where the line is drawn. • You have to be going to live in the house. If you plan to rent it out, or use it as a holiday let, then it won't qualify for zero-rating. • If you want a definitive answer, first check out VAT notice 708. If you are still unclear, you must go for a ruling to HMRC. Do this before you start! 1. Classic new build. Zero-rated. You can reclaim all VAT on supplies you buy for the construction. Labour and supply and fix contracts should not charge you any VAT on their invoices. 2. Conversions. Providing you are creating a dwelling for the first time (or the ten year rule applies), then you are able to reclaim all VAT on supplies you buy for construction. Labour and supply and fix contracts should charge you VAT at 5%, which you can later reclaim. 3. Reduced rate work. If the building has been unoccupied for two years, or you are changing the number of residential units (i.e. a house into flats) then you only have to pay VAT at the reduced rate - 5%. 4. Listed buildings: you pay VAT at the full rate on repairs, whilst alterations are zero-rated. Strange but true. You may be able to apportion the VAT on the whole job, by prior agreement with HMRC. 5. Domestic building work (inc granny annexes and outbuldings). Repairs, maintenance, improvements and alterations all attract VAT at the full rate. The definitive rulebook on all this is VAT Notice 708, an 109-page behometh. Selfbuild reclaim forms are now known as VAT notices 731 (N) for new builds and 731 (C) for conversions. Final thought. It's a great shame the Coalition hasn't thought to pay some attention to this VAT mess. Lots of good research has suggested that if the entire construction industry shifted onto the 5% reduced rate of VAT, the tax take would actually increase (because cash jobs wouldn't be so attractive to customers). It would be good news for the construction industry, good news for most of its customers (except the zero-rated housebuilders), good news for the Treasury, and great news for everyone who appreciates a little simplicity in life. And it would put new build and renovation on a level playing field. But whilst Shapps, Clark and Pickles have been busy creating mayhem with the planning system and the social housing scene, the underpinning VAT tax regime remains a pea-soup of confusion. C'mon guys. There is still time to get "radical" here. Is Grant Shapps a Perverse Consequence? Grant Shapps seems to be just everywhere. He tweets like a loon, and tells us all the media interviews he is doing. Today he has done BBC Radio London, Radio 2 (Jeremy Vine), The Daily Politics Show, LBC, Sky, Radio 5 and Radio 4's Today programme. For all I know he'll be on Newsnight later. That's an awful lot of speaking. This is a guy who likes to talk, who likes the sound of his own voice. He is personable and charming, and good in front of an audience or a microphone. He even looks like one of those morphed images, halfway between Tony Blair and David Cameron. If ever there was someone built to be a 21st century politician, it would be our Grant. Only one small problem here. It's that he really doesn't appear to know what he's talking about. Despite having spent years shadowing various Labour Housing Minister's, and rehearsing his brief, now that he has arrived as the Coalition's chief housing spokesman, he's still completely at sea. Today's topic of conversation is social housing reform. There's a press release up on the DCLG website which you can take a gander at and get the low down on what our man is on about. It's headlined "A fairer future for social housing." Everyone agrees there is a problem (or three). But almost no one can decide what to do about it. Shapps is prone to suggesting that his solutions are "radical" — he likes that word — but methinks "tinkering about a bit" would be a little bit more accurate. A "radical" solution would be to do away with the looney distinction between social and private housing, but that's not really on the agenda because it's just a bit too, how shall we put it, ..."radical?" 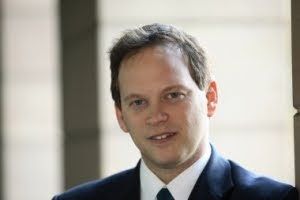 Instead Shapps is suggesting that we do away with lifetime tenure for social tenants and subject them to occasional means testing to see if they can afford to pay private market rates. If ever there was an incentive to stay out of work and have loads of children, this must be it. IDS must be fuming quietly in the background.